In what may be an ironic gesture of the first degree, the subtitle of Brandon Downing’s Lake Antiquity reads “Poems: 1996–2008,” for one hundred and ninety pages, full color, about one square foot, numerous X-Acto blades, sticks of glue, ephemera, twelve years of labor. 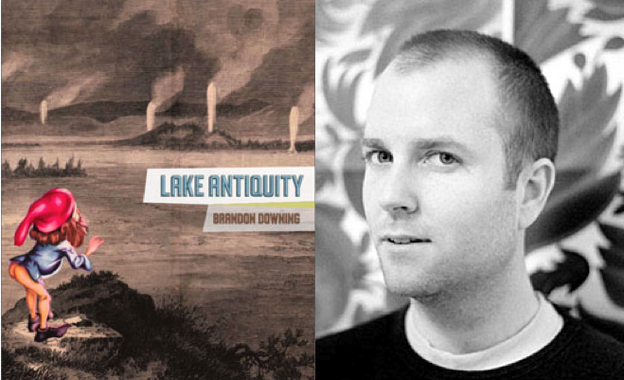 Lake Antiquity is another iteration of the future of poetry. With this book, the argument what is poetry and what is not is moot. To the reader on the lookout for irony, the subtitle works in the way a nonprofit would tack an “Inc.” after its name. To the diehard traditionalist, the anti-Flarfist beating his chest, defining this book as a collection of poems constitutes a gross misrepresentation. The text is more often than not as much a component of the collage as the collage itself. Rarely does the text surpass the purely visual element of the book. The term “art book” might be more apt, except not at all. The fact that the text is found and collaged is superseded by the majesty of the book. 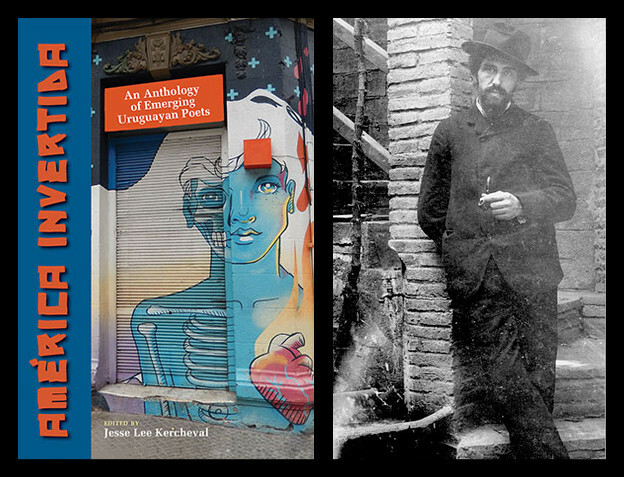 It is a visual poetic that delves into history long past and recent (Surrealism, Camp, the Pictures Movement, Flarf, etc.) while looking towards the future. Way back in 2006 when Dan Hoy published what many perceived as a polemic directed toward Flarf, there was still an active concern about what was permissible in poetry and what was not. That that is no longer a concern is made apparent by (at least one aspect of) the context in which Lake Antiquity was published. When tolerance of uncertainty is taken to the brink, when it becomes clear that there will never be reconciliation, that which arouses the uncertainty, the object of thought let’s say, has achieved its purpose in a very pure way. There is no reconciliation in Lake Antiquity, nor need there be. Its nuance is fully conceived and perfectly executed, and it comes to us without apology. This book is relevant. In April 2010, at the Juniper Festival in Amherst, Massachusetts, Fence publisher Rebecca Wolff, participating on a panel called “The Future of Poetry,” declared poetry futile; anyone writing poetry in America who believes poetry is a form of activism engages in “gross relativism” and would be better suited teaching elementary school (that these toxic claims are couched in a discussion about the future of poetry is important). Backlash was minimal: nowhere were there the sort of rallying cries in defense of poetry, its future, or attacks on Wolff (except one, but she struck back). Her comments went largely unnoticed, even after she posted them verbatim on HTMLGIANT . Perhaps this is because nobody really believed her — I didn’t, to be sure, because the release of Lake Antiquity by Wolff’s own presscontradicts her dour declamation. Actions louder than words? Since this is a panel on the Future of Poetry, this assumes there is a past, which is a kind of history. So I’ll start with personal history. I was an undergraduate student here, at UMass, having dropped out of Bennington, where I was a poetry major, which meant that I took poetry workshops. There were a few poetry seminars being offered but I had never heard of Rene Char and no one was able to convince me that it might be interesting to read about him and talk about him, etc. After two years in retail — a bookstore then a health-food store — I became a Massachusetts resident and moved to Northampton to conclude my education, or so I thought, in that at the time I had not heard of graduate school. I’m not kidding. At UMass I took a Bachelor’s Degree with an Individual Concentration in Poetry and Self-Consciousness, a degree I made up myself, and which allowed me to take poetry workshops and to complement these with courses in Psychology, Comparative Literature, and Philosophy. I went to Iowa because someone mentioned it to me — I applied only there, and it never occurred to me that I was going in preparation for a brilliant career in poetics or in the academy. I was going because they were going to pay me to write poetry for two years. At Iowa there were some seminars offered but again I really didn’t have any clue what they were talking about — Paul Celan, George Oppen, Michael Palmer — and so I just took workshops and a course in editing at the Iowa Review. You could conclude from this brief and incomplete history that I have been exceedingly incurious, and that is one way of looking at it. I more like to see it that I was able to construe myself as a-historical. I was totally dedicated to writing poetry, and did so plentifully and with conviction, without any sense that this was something that I might do “for a living,” or, more importantly perhaps, that there was a poetry culture, or community, or telos or ethos of poetry. That I was nominally prepared for teaching by my MFA degree did not mean that I would enjoy teaching, or that it would come naturally to me. I continued to work in retail and service environments of various kinds until I started Fence. Fence, then, has been my real education, and I guess you could say that it’s been a public education. In short, I was exceedingly unschooled in ideas, when I started Fence — all action, no talk — but have through it been exposed to most of the major historical/literary concepts and constructs which seem to persist (community, context, coterie, identity, subjectivity). I seem to be able to connect the dots. In addition, I have grown old, and attained a certain curmudgeonly perch. 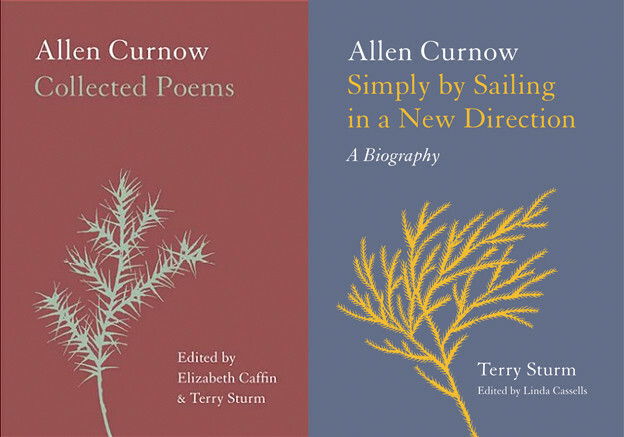 The future of poetry: I see a lot of younger poets embracing historicity, and context, and also struggling with futility, as a theme and as a function of poetry. I also see a lot of poets exhibiting different approaches to dealing with what I will call “self-y-ness.” I concur with poetry’s futility, and wish to support it: Despite a growing self-congratulatory vibe amongst poets who feel that their projects, or their community involvements, represent a kind of trickling-down cloud of supercomputing intellectual progressivism, poetry is not activism, or at least not now it’s not. There have been times at which, contexts in which, poetry could be activism, but those times are gone for now in the United States of America, and to think otherwise is to engage in a gross relativism. Poets in the academy are in a position to do good in the abstract, but they would do much better to get teaching certificates and teach elementary school. Poets in the academy in general would do much better to disband and sign up for some community organizing for a year or two or three or four, or get a social work degree and help out with the infrastructure, or run for local government. Now that’s poetry. Aside from what I see as the well-intentioned but misguided application of some of the best minds of our generation to materially irrelevant content, the proverbial fiddling while Rome is burning in the Emperor’s new clothes, on a day-to-day level as I continue to make Fence function I grow astonished at poetry’s self-seriousness, combined with its industriousness. I worry that poetry has become an obfuscating cloud, seeded with drops who would do well to condense, drop out, and soak in. “There Is No Reconciliation,” published in Jacket2 on December 5, 2011, brings together an essay-review by Luke Bloomfield devoted to Brandon Downing’s 2009 Fence book Lake Antiquity, and a gallery of eighteen recent collages by Downing. You can listen to a number of recordings spanning the past decade on PennSound’s Brandon Downing author page.